Pope Francis at the crossroads of History Pope Francis: Ecumenism as a Response to Brexit? Pope Francis: Toward Which Pontificate? With a short, off-the-cuff speech during celebrations for the 65th anniversary of his priesthood, Benedict XVI clarified that Pope Francis alone is Pope. However, the turmoil generated by the notion of an “enlarged papacy” comprised of “an active member and a contemplative member” reveals a certain nervousness around the question, as though Pope Francis’ opponents were organizing a sort of resistance centered on the Pope Emeritus. The notion of a party that is willing to block Pope Francis’ reform attempt is a sort of leitmotiv in the narrative concerning this pontificate. In his speech Benedict XVI thanked Pope Francis, said he felt protected by his goodness, and invited him to go forward down the path of mercy – it was Benedict XVI who uttered the phrase “the name of God is mercy”, that Pope Francis quoted and that became the title of the book interview he gave to the vaticanista Andrea Tornielli. For his part, Pope Francis thanked Benedict, showing in his address that he feels close to the Pope Emeritus and also hinting that they meet often. Pope Francis even reiterated that, for him, Benedict is the wise grandfather whom one asks for counsel. Certainly, the notion of an enlarged papacy hit “in vivo,” the reason being not only that it was Archbishop Georg Gaenswein who first spoke about it – and Archbishop Gaenswein is both Prefect of the Pontifical Household and Private Secretary to Benedict XVI. Taken out of the context and beyond what Archbishop Gaenswein actually wanted to say, the notion could be also used to minimize Pope Francis’ authority. In this way the perception arose of a group of loyalists to Pope Benedict ready to oppose Pope Francis with all their force and means. A discussion ensued. As every theological discussion inevitably becomes “pro v. contra” Francis” (no matter what is actually being debated), the same happened with the notion of an enlarged papacy. Are Benedict XVI’s loyalists really ready to oppose Pope Francis? A reasonable glance at the facts proves the opposite, and we can provide at least three examples. Archbishop Georg Gaenswein – who was targeted even during Benedict XVI’s pontificate – does not neglect to underscore in any interview or statement he makes the continuity between Benedict XVI’s and Pope Francis’ pontificates, emphasizing the aspects of the present pontificate that he deems to be the more positive. There are no clues of infidelity in his public statements. Moreover, even in his personal life, he accepts many invitations to take part in local festivals and religious celebrations, thus following the pastoral path indicated by Pope Francis. Cardinal Gerhard Ludwig Mueller, Prefect of the Congregation for the Doctrine of the Faith, has kept to a profoundly theological point of view in his public statements. He never speaks publicly against this pontificate, but merely clarifies doctrinal points of view. Beyond this, with a certain German rigor, Cardinal Mueller is the only one who has built an idealist bridge in the Roman Curia between the Latin-American mentality and Roman Catholic theology. Mueller brought about in liberation theology a substantial departure from Marxism, a move to which Gustavo Gutierrez, the “Founder of Liberation Theology,” is in debt. True, in many cases, Cardinal Mueller is on the other side with regard to those theological currents developed around Pope Francis and that exploit the Pope by using him as a shield to bring about an “agenda of mercy” bereft of theological foundations. But Mueller’s opposition to these currents does not make him an enemy of the Pope. Cardinal Tarcisio Bertone, Pope Benedict XVI’s Secretary of State, has always been targeted with even specious accusations. But he never publicly criticizes Pope Francis, and he has also worked as a sort of hidden collaborator for the Pope. For example, Bertone’s experience with Cuba brought him to be a facilitator of the rehabilitation of US-Cuba relations, considered to be Pope Francis’ first diplomatic success. Certainly, all of these people are loyal to Benedict XVI; they share his approach, they defend the work done during his pontificate. They can disagree with Pope Francis, but nothing they say or do can be considered as opposition or disloyalty to the Pope. Most likely, the Pope’s enemies should be sought elsewhere. One of the major issues of the day is the narrative being generated around this pontificate. 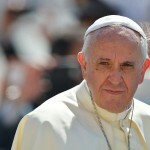 It describes this pontificate as a revolutionary one, and it defines every move of Pope Francis as brand new, whereas it also obscures certain aspects, such as the Pope’s strong stances against gender ideology, in favor of the natural family and even – speaking about reforms – his general support for a hierarchical Church. Certainly, none of these issues are part of the agenda as conceived by the official narrative. To some extent, one would be correct in thinking that pointing the finger at the old establishment is a rather useful tactic for hiding what the new establishment is doing. Under Pope Francis, there has not been a very large spoils system in operation. While just a few curial posts have changed, Vatican diplomats have gained positions of power and influence as never happened under Pope Benedict. The diplomats’ influence is not proved by the choice of Cardinal Pietro Parolin, a long-term diplomat, as Secretary of State. The influence is proved instead when long-standing diplomats are chosen for non-diplomatic posts, as, for example, Cardinal Beniamino Stella as Prefect of the Congregation for the Clergy and Cardinal Lorenzo Baldisseri as General Secretary of the Synod of Bishops. Some of the reconstructions by observers say that Cardinal Stella played a very important role in bringing about Pope Francis’ “revolution of mercy” within the Vatican ranks. Cardinal Stella was reportedly a reference point during the pre-2013 Conclave meetings, when he was still an archbishop and President of the Ecclesiastical Academy (the Vatican training center for diplomats). He allegedly worked as a matchmaker, as a meeting point or a mail box for some of the Cardinals who were going to take part to the Conclave. Later, as Prefect of the Congregation for the Clergy, Cardinal Stella has made some changes in the modus operandi. For example, it is rumored that evaluation boards for priests or seminarians must now base their assessments on Pope Francis’ apostolic exhortation Evangelii Gaudium, rather than on the Code of Canon Law. These details must not be underestimated. The impact of diplomacy in current Church government can be glimpsed in the new doctrine concerning the Holy See’s relations with States that takes its cue from the “culture of encounter” that Pope Francis has developed. Under this rubric it is time for negotiations and dialogue rather than for affirming truth. And this new rationale is found at work among the issues involving diplomacy – for example, the Holy See made its own the vocabulary of the United Nations, albeit with some qualifications, without being willing to make use of its own, new language. Moreover, it is no surprise that no one from the Holy See defended Cardinal Antonio Canizares Llovera from accusations of homophobia in Spain, or protested that religion classes in Belgian schools have been cancelled. This approach based on the culture of encounter might bear some fruit, however. There is the possibility of a papal trip to China in the offing, supported by the fact that the “nunciature to China” in Taipei is still vacant after its highest rank representative was appointed nuncio to Turkey; ecumenical relations are being developed on several levels, with the support given to the Pan-Orthodox Council, the meetings with Patriarch Kirill, and the renewed ecumenical approach to the Armenian Apostolic Church; and the Holy See is involved in various mediations, while not by chance Cardinal Parolin has considered opening an “Office for Papal Mediation”, perhaps the only one among the many proposals of curial reform rooted in a real papal tradition. On the other hand, it is noteworthy that discussion of major issues is choked by the specter of a revolution that eventually fizzles into a mere change of structures. After the two synods on the family, it seems that no one wants to carry forward that particular discussion, perhaps because the Church’s peripheries showed a certain toughness in defending established doctrine, thus blocking the aims of those who were working out an agenda behind Pope Francis’ back. The next synod’s topic is still under discussion; “synodality” was reportedly rejected as a focus by some high-ranking prelates. One motive for the push-back is that even behind synods lobbies can operate with the aim of steering the definition of the Church’s positions and the contents of its documents. This happened during the 2014 Synod, as was seen in the controversial mid-term report. It happened with the final document of the 2015 Synod inasmuch as it did not reflect the totality of the synod members’ positions. It happened even with the Apostolic Exhortation, Amoris Laetitia, which in fact just put on the table all the issues at stake and left everything open as a matter of conscience, rather than giving clear indications. Another motive is that Pope Francis himself does not fully appreciate synodality. On the one side, he enhanced the importance of the Synod of Bishops, established many commissions and appointed a Council of Cardinals to advise him on the government of the Church. But at the same time, he loves to make his own decision alone after listening to all opinions. This independence of Pope Francis is the main hurdle that promotors of the agenda of mercy have discovered in their project to change the Church, a project that is discussed in secular rather than divine terms. Hence, on the basis of the premise of dialoguing with the secular world, the Church, on this view, is not supposed to propose a model of life any more, but is supposed to conform itself to a model given by society. It is a more secular Church – exactly the opposite of what the “Salt of the Earth Party” looked at when they campaigned for Pope Benedict XVI’s election in 2005. This model is media friendly, and this is the reason why every step in a secular direction is praised by the secular world, thus creating a media image of the Church that is still far from reality. The final risk is that of a Humanae Vitae effect, given that Blessed Paul VI’s famous encyclical was preceded by similar expectations carried forward through the media. It is easy then to focus media attention on suspicions surrounding Benedict XVI’s “establishment” in order to play down the fact that Pope Francis’ revolution is not taking place as some had hoped. After three years of his papacy, Pope Francis’ reforms move ahead slowly. Wild claims that the Curia is being fundamentally changed, statements about the possibilities of reforms in doctrine, even new ways to exercise the Petrine ministry were expected. Now, no one is expecting them anymore. During the papal trip to Armenia June 24-26, the Armenian Apostolic Church showed huge appreciation for the Pope and his effort in favor of an ecumenism of blood, meeting and prayers. But nothing more. Asked whether the Pope was going to establish something like a Council where Pope and Patriarchs were on a par, thus making concrete the synodality that the Armenian Apostolic Church looks for, Archbishop Kahjog Barsamian of the US Armenian Apostolic Church said clearly that nothing of that sort is in the offing. That means that theological debates will produce no tremors, since for Pope Francis meetings and examples are more important than theology. Hence, we can easily foresee there will be no theological earthquakes. The final suspicion is that we are currently witnessing a long “end of pontificate” era. This does not mean that this pontificate is coming to an end soon. It means that Pope Francis’ major themes will be insistently reiterated, feeding his popularity with meetings, but without theological roots that can produce real, concrete and long-term changes. Some Vatican observers note that this outcome can be glimpsed by the way the latest motu proprios were written, and from the fact that both the new dicasteries and the yet-to-be-established dicasteries are still not included in an apostolic constitution that could gave them a legal framework to operate in the Roman Curia. During this month of vacation, while holding private meetings, reading, studying dossiers and preparing for the World Youth Day in Poland, Pope Francis will be called to reflect on how to give definite shape to his pontificate. Will it just be an extraordinary pontificate of people, but yet transitional, with no theological highpoints, only a change in the profile of bishops? Or will it be a pontificate that produces something profoundly new in terms of theology, or at least in terms of Church government? 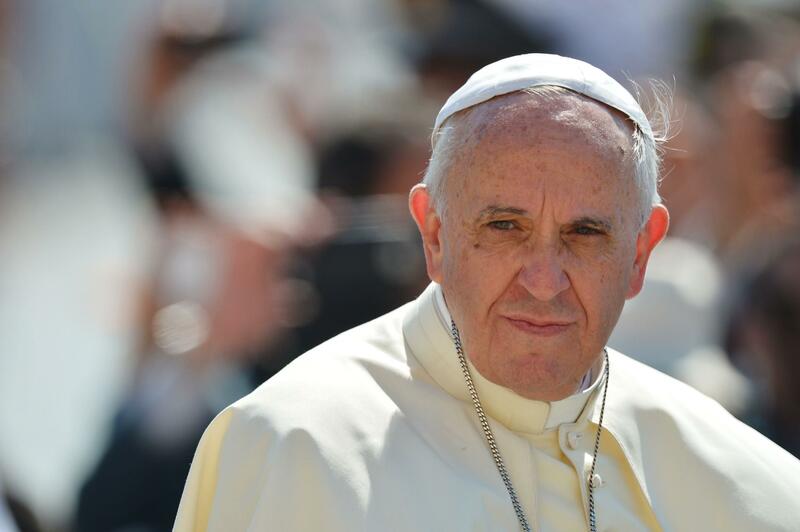 6 Responses to Pope Francis: Toward Which Pontificate? This is a very bogged down view of what is transpiring in Rome. Said simply, Bergoglio is not orthodox in his teaching. He has trashed and distorted basic elements of sacramental life in the Church. The videotape of Pope Benedict’s anniversary of priesthood shown recently shows something very much ‘off’ and gives credence to the thesis that Benedict was forced out and is in a man-made ‘incapacitated’ predicament. This lends itself to the serious situation of an antipope at the helm. Quit with the political babbling and face the fact that Bergoglio is on a trajectory of destruction. You cannot see it either because you are missing the forest for the trees or you are part of it. Expanded papacy? A contemplative face and an active one? Two popes? Any pope? Has the papacy been replaced by a third world dictatorship fueled by subterfuge, notions and confected contrivances? By personal preferences? Stop. Right there, Andrea – you hit it right on the head. Like so many of us, having endured the ravages of the post-Conciliar Church, and knowing well all species of clerics and theological experts inhabiting our bare ruined choir, from the moment of his election it was not difficult to foresee what was ahead. It took no depth of insight. All that was required was the abandonment of the venerable life boat of denial. That done, I wish I could say that all has come to pass as expected, but I can’t. It is ever so far worse than I could have imagined. It is a once revolting and heartbreaking. Simply dishonest and totally unreliable and entirely unacceptable. The veracity of this report is supported by those who find favor at the Domus Sanctae Marthae, those appointed to the episcopate, those targeted with the pejorative, those who are disciplined with the back of the hand. It is supported by the words and activities of Cardinals such as Danneels, Kasper, Lehmann and Marx. Consultors such as Archbishop “Tucho” Fernandez – “Heal me with your mouth?” Maybe it is time for a significant number of clerics to govern their mouths, abandon their own agendas, and work out of the Church’s understanding of the Holy Gospel, the Apostolic Tradition and the Magisterium. Not the new and improved version of the past fifty years rewrapped in Marx, Darwin and Freud, but the original version developed organically and contiguously from the Word over two thousand years. This Papacy is undermining the Church of Jesus Christ in a most profound manner. I am tired of listening to Bishops who insist that he is not ‘speaking from the Chair’ so nothing to worry about. He is destroying the Church with almost every utterance that comes out of his mouth with the most anti Catholic ludicrous ramblings that only can be attributed to someone that is either mentally incapacitated or trying to destroy the Church. And our ever so spineless Bishops are SILENT!! Inexcusable!!! With all the controversial statements of Francis, everybody is focusing on the error, but nobody is taking his “teaching” seriously. It has become a caricature. Maybe this is the silver lining in the entire Francis, bishop of Rome fiasco. One can only hope there are enough cognitively equipped and emotionally balanced in high places who share your view.